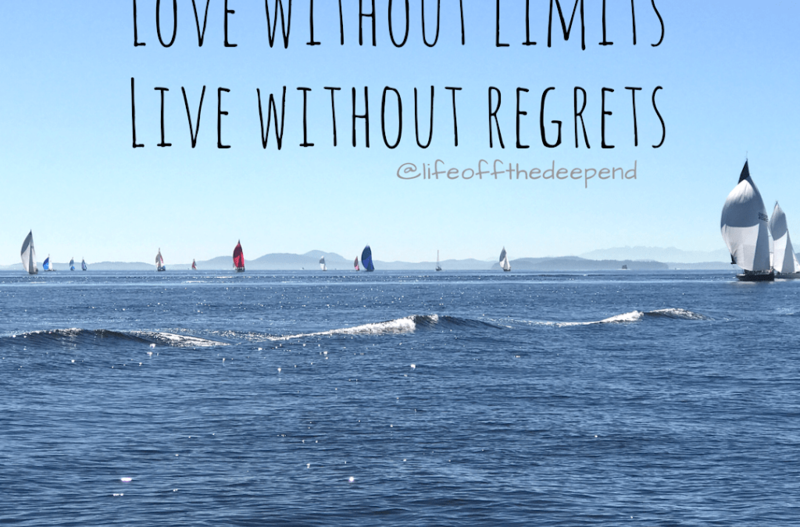 Our blog is called Life off the deep end because we are embracing crazy. 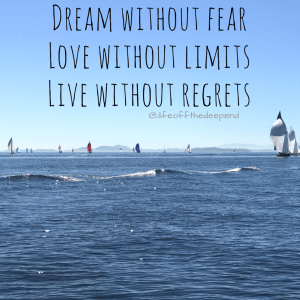 But I think we’d be a much different kind of crazy if we didn’t have fears about our plans to sell everything and sail around the world with our kids. When I’m at the grocery store looking at the abundance of fresh produce. A little feeling of anxiety pops up as I realize that soon I will not have easy access to this. Why am I doing this when I have the ability to feed our family such nutritious food right now? Will my picky kids eat different foods from different countries? When I send my kids downstairs to play. I love our house. It’s big and spacious and the kids have so much room to play and grow. That little bit of fear sneaks in again. Why would I want to cram all of us in a tiny boat? Are the kids going to drive us crazy? What happens when I need alone time? When I’m scrolling through Facebook and memes about Fall start popping up. Fall is my absolute favorite season. The crisp air, colored leaves, sweaters, coffee, Halloween. Living in New England for a few years gave me a deep love of all seasons. Winter snow too. Fear rears its ugly head again. Am I going to miss the seasons? Am I going to get tired of white sand beaches and crystal clear water? When I’m cooking dinner in my kitchen. Will this gadget work on a boat? Do I need plastic dishes? What happens if I need to know how long to bake something and I have no internet to google it? Do I need to bring an old fashioned Betty Crocker cookbook? Again, what am I thinking?! When I’m driving down the street with the kids. How will my kids learn to drive a car? Am I screwing them up by homeschooling them? Will they miss out on a “normal life”? Will they hate me for not experiencing teenage milestones like picking up a date to take to the movies, going to prom, etc? What is a “normal life” anyway? As quickly as those fears pop in, they just as quickly disappear. I remind myself that what we want to experience as a family in this world is worth every little fear along the way. I heard somewhere that everything in this world is either love, or a call to love. 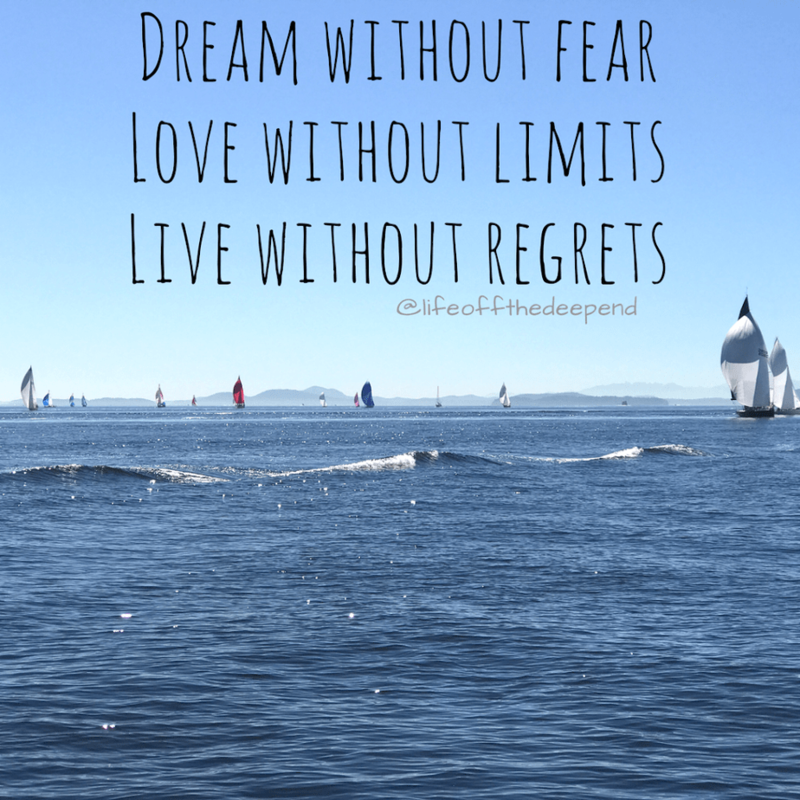 So if you have a fear of living your own dream… love it more.